Samsung Galaxy Note 9 brings a variety of superior features and advantages that focus on performance, strength and intelligence. The presence of the Galaxy Note 9 which focuses on three improvements, namely performance, strength and intelligence. In addition, this smartphone also brings a variety of superior features as well. The President and CEO of the IT & Mobile Communications Division, Samsung Electronics, revealed that the Samsung Galaxy Note 9 is the only smartphone that is expected to accompany their lives full of busy life to support their daily work and entertainment. The Galaxy Note 9 can be relied on to do various things, all day and every day. This was realized thanks to the support of 4,000 mAh battery, the largest capacity among the Galaxy premium smartphone series. This device also carries storage up to 1TB thanks to internal storage up to 512GB and a microSD slot that has the same capacity. 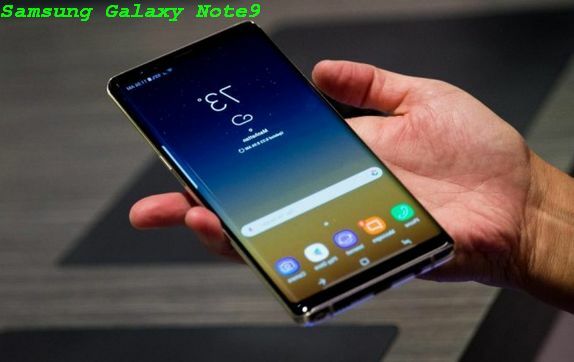 Samsung claims the Galaxy Note 9 is a super performance smartphone that carries the latest 10 nm processor and supports the fastest network speed in every market of up to 1.2 gigabits per second. In addition, this device has carried the Water Cooling System and AI-based device performance adjustment algorithm for strong but stable performance. The Galaxy Note device is identical to the stylus pen or the S-Pen which is enhanced by Bluetooth Low-Energy (BLE) support. 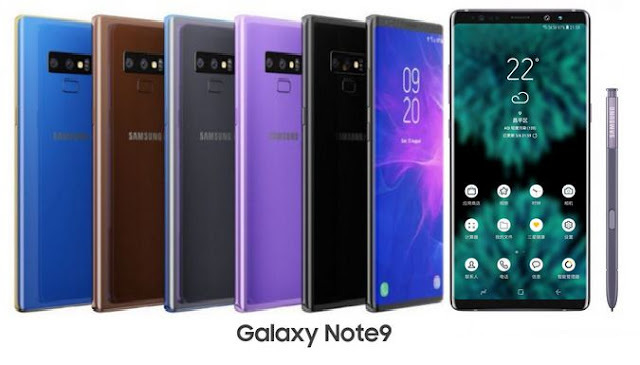 This technology presents a new way of using the Note 9 for various purposes, starting as a camera shutter for selfies, a PowerPoint presentation control device, or a media player remote. Galaxy Note 9 carries Samsung's smartest camera today which is able to identify photo elements and classify them automatically into one to 20 categories. Then, this feature will automatically optimize based on that category to produce more vivid photos. Flaw Detection on the Galaxy Note 9 allows users to take photos without losing a moment. Direct notification will appear when the photo is blurred, the subject of the photo is blinking, the lens is dirty, or the backlight can affect the quality of the photo. The premium Galaxy Note 9 camera combines smart features and the latest hardware to reduce noise with a Dual Aperture lens, which can adjust the light like a human eye. The Galaxy Note 9 camera in any light conditions will produce the best photo quality shots. The Galaxy Note 9 has the largest edge-to-edge display on the Galaxy Note series with Infinity Display according to Samsung's distinctive features. The 6.4-inch Note 9 Super AMOLED screen that delivers the best multimedia experience without limits. Note 9 also provides fast wireless charging technology, IP68 water and dust resistance, Samsung Health, Samsung Pay, Knox security platform, biometric security including fingerprint scanning capabilities, iris scanning, and facial recognition to maintain information security. With so many new features and advantages on top, the Galaxy Note 9 has two variants of the Note9 Series, which is 6GB / 128GB and the 8GB / 512GB model. This device can be ordered on August 10-19 2018 in selected e-commerce sites. Samsung believes that Galaxy Note is a device that is able to demonstrate premium technology and leading innovation in the mobile industry. Because, according to their mission, Samsung designed the device in accordance with the needs of consumers.